What is a Motorcycle History Report? The Cyclechex Motorcycle History Report contains CRITICAL INFORMATION that you NEED to know. A Motorcycle VIN History Report provides you the most current information available on a used bike. Cyclechex gives you access to a powerful network of data providers with the most up-to-date records and information on motorcycle's history. This COMPREHENSIVE "VIN Check" gives you peace of mind when buying a used motorcycle or getting the history on a bike you have already purchased. Before you buy or sell a used motorcycle you will want to do a VIN check to if there has been any accidents, damage, title history, recalls or other potentially harmful information. Part of shopping for a used motorbike includes ordering Motorcycle History Reports, also known as a motorcycle VIN Check or motorcycle fax report, this valuable vin check report discloses all information available on a motorbike’s vehicle identification number. Once you narrow down the choices, run a vehicle check online to ensure the price you’ve been quoted and the details you’ve received coincide with the motorcycle’s title history. 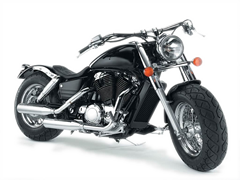 If you’ve been quoted one ticket price and then you discover on a motorcycle check that the bike sustained damages in an auto accident, you can negotiate a lower price or continue shopping for a better deal. Be wary of sellers who don’t disclose an accurate title history. When you are selling a used motorcycle a Motorcycle History Report will provide proof that the price you are asking for is fair. This VIN number check provides the most important info a buyer should know about the bike. When it comes to disclosing the title history of your used motorcycle the best advice is to be honest. If you disclose any damage, motorcycle accidents or repairs the buyer knows exactly what they are getting into. No matter what condition the motorcycle is in a motorcycle history report will show proof of the bike’s value and help you sell it for the price you want. Search Motorcycle and Motorbike VIN numbers and check the vehicle identification number and history before you buy your next motorcycle.